Looks like Artie came at a bad time. Also, sorry this page took longer than usual to upload. I’m busy preparing for my holiday trip to New York. 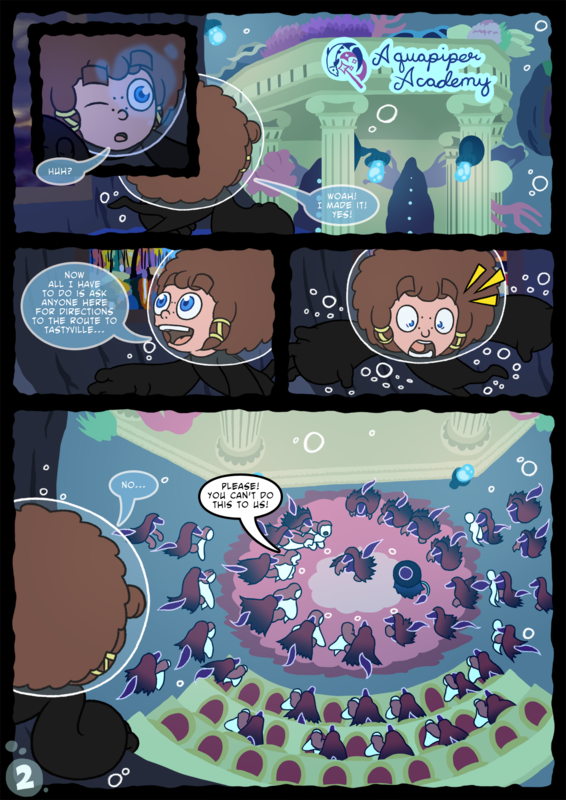 So the Skorned can breathe underwater… OR MAYBE each of them is a Skorned possessing a Bernumaid, like Stirrix did to Toby! Sound theory, but sadly yeah, it’s the former. Only Skorned Captains can possess other beings.